The Dunlop Gator Grip picks combines sharp edges with a perfect grip. The rough high end picks show great quality for skills and an aggressive play. At this first page you can order an amount of 12 picks for only € 5,95. At the second page you can buy a big supply of 72 picks for only € 28,50. That's only € 0,39 a piece! The more you buy, the cheaper it is! Rough surface for a sharp edge. Material: firm plastic. Thickness: 0,58 mm. Color: red. 12 picks on sale for € 5,95. Rough surface for a sharp edge. Material: firm plastic. Thickness: 0,71 mm. Color: light purple. 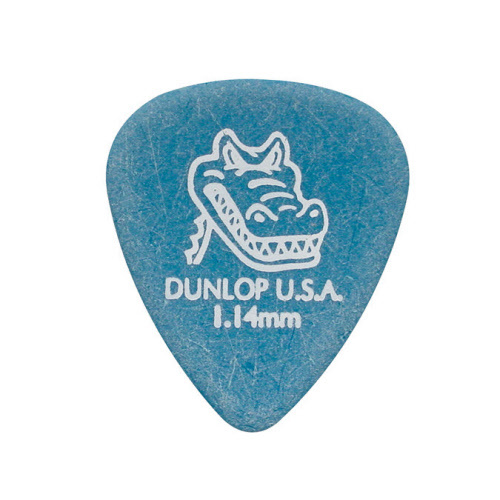 12 picks on sale for € 5,95. Rough surface for a sharp edge. Material: firm plastic. Thickness: 0,96 mm. Color: dark blue. 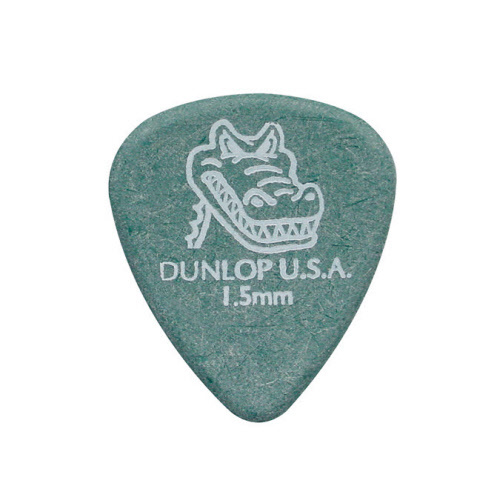 12 picks on sale for € 5,95. Rough surface for a sharp edge. Material: firm plastic. Thickness: 1,14 mm. Color: light blue. 12 picks on sale for € 5,95. Rough surface for a sharp edge. Material: firm plastic. Thickness: 1,50 mm. Color: dark green. 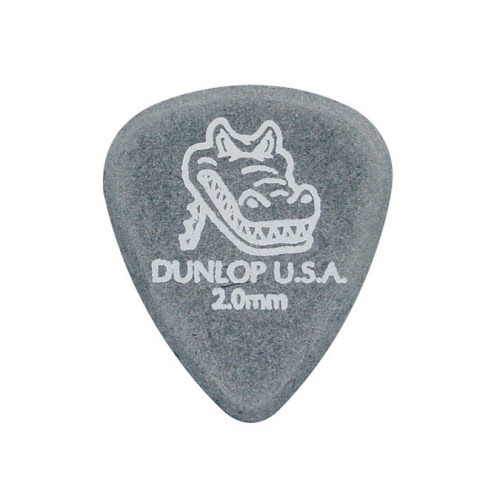 12 picks on sale for € 5,95. Rough surface for a sharp edge. Material: firm plastic. Thickness: 2,00 mm. Color: dark grey. 12 picks on sale for € 5,95. Rough surface for a sharp edge. Material: firm plastic. Thickness: 0,58 mm. Color: red. Now 72 picks on sale for € 28,50. That's only € 0,39 a piece! Rough surface for an sharp edge. Material: firm plastic. Thickness: 0,71 mm. Color: dark purple. Now 72 picks on sale for € 28,50. That's only € 0,39 a piece! Rough surface for an sharp edge. Material: firm plastic. Thickness: 0,96 mm. Color: dark blue. Now 72 picks on sale for € 28,50. That's only € 0,39 a piece! Rough surface for an sharp edge. Material: firm plastic. Thickness: 1,14 mm. Color: light blue. Now 72 picks on sale for € 28,50. That's only € 0,39 a piece! Rough surface for a sharp edge. Material: firm plastic. Thickness: 1,50 mm. Color: dark green. Now 72 picks on sale for € 28,50. That's only € 0,39 a piece! Rough surface for an sharp edge. Material: firm plastic. Thickness: 2,00 mm. Color: dark grey. Now 72 picks on sale for € 28,50. That's only € 0,39 a piece!